The Hot Dog Truck: TOP DOG! Regulars at the Hot Dog Truck know Jeff from Horizon Technology. Jeff takes his hot dogs seriously. So seriously that he'd come out for a dog on a crummy, snowy New England afternoon; like yesterday. What made yesterday special was the milestone that took place. Since the spring, I have been logging Jeff's visits to the Hot Dog Truck by marking a slash on a box on top of the fridge. I had been teasing Jeff early in the season that some other customers were challenging his patronage by showing up for lunch more often than he did. Jeff, being the competitive SOB that he is, insisted that he would be the TOP DOG at the Hot Dog Truck. Mark down Wednesday, December 17 as the day Jeff made his 100th visit of the season to the Hot Dog Truck! That's 200 hot dogs. Here's a photo of number 199 and 200. 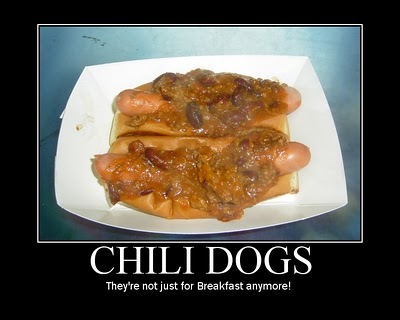 Jeff has onions, dill relish and Gulden's mustard on his dogs. To give some perspective, the average American consumes 60 hot dogs per year. Jeff consumed 200 hot dogs in 8 months which means his yearly intake is 300. Jeff eats enough hot dogs for 5 people! If you laid 300 hot dogs end to end it would be 200 feet; that's 10 times the length of your intestine! 300 hot dogs, with buns and condiments, weighs about 100 pounds. That's like eating a couple of REAL DOGS! I like to tease Jeff and so do his co-workers but the bottom line is this: Jeff is committed to his love of quality hot dogs and he's keeping the average up for those who slack in their hot dog consumption. He's also a valued customer, fellow hot dog aficionado and a friend. Neither rain, nor snow nor cold keeps Jeff from his beloved dogs. About the only thing that keeps him away is a sales meeting or a day off! Here's Jeff with his 100th Hot Dog Truck "Special." He looks proud, and he should be. He's the TOP DOG at the Hot Dog Truck! Thanks Jeff and to all the other TOP DOG wannabees out there.